Got an e-card and an e-book in your “electronic wallet”? 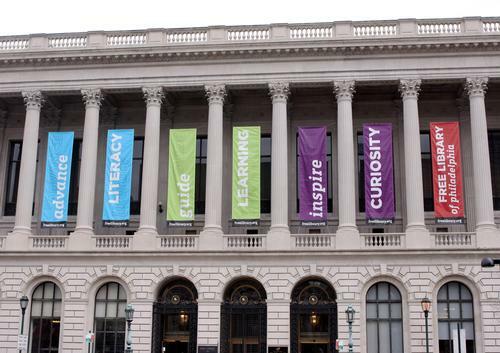 The Free Library of Philadelphia is hosting a special sign-up event on Wednesday for its new Virtual Library Card, a promotional show-and-tell at the Municipal Services Building with Library President and Director Siobhan A. Reardon and in-house tech support team. The Rosenbach Museum & Library in Philadelphia is honoring “Alice” with several events and exhibitions starting in October, including “Alice in Philly-land,” which explores the city’s connections to the work. There’s also a “Croquet in Wonderland” party at Dilworth Park Oct. 15, and an interactive gallery at the museum will let visitors try to solve some of Carroll’s famous riddles and puzzles. My favorite Free Library branch has to be Parkway Central (1901 Vine St.). The architecture alone is worth the trip, but I also love to study there and browse the sci-fi and graphic novel new releases. The Poet Laureaute also partakes in the inauguration of the Mayor, spoken word and poetry events at City Hall, and events at the Free Library of Philadelphia. The Free Library of Philadelphia is celebrating the Pope’s impending visit with a special exhibit of sacred texts drawn from the Rare Book Department. Features Sacred Stories at Parkway Central, Catholics in the New World at the Rosenbach, and Down the Rabbit Hole: Celebrating 150 Years of Alice in Wonderland at the Rosenbach.